Every now and again there are certain musical releases which cause ripples on the Progressive pond, and suddenly they seem to be everywhere. In recent years this was the case with Peter Jones's first Tiger Moth Tales album, 'Cocoon', and this has again happened with this new release from John Holden, 'Capture Light'. So I was anxious to hear what all the talk was about. For a debut release this album strikes me as a very accomplished piece of work. 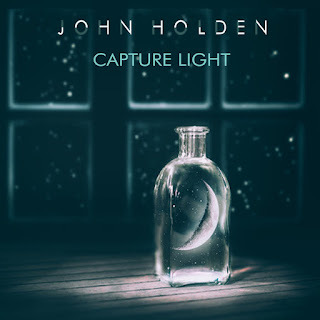 There is some exceptional musicianship on show here and some very thoughtful and provocative songs, demonstrating Holden's undoubted skills as a song-writer. Part of Holden's genius has been his assembly of a whole raft of names from across the Progressive family to accompany him on this recording, with contributions from Yes alumni Billy Sherwood and Oliver Wakeman; former Enid vocalist Jo Payne; Steve Hackett's drummer Gary O'Toole; along with Oliver Day, who appears on 6 of the 8 tracks, and the aforementioned Peter Jones, among others. Tears From The Sun, the opening track, is a song about the Spanish conquest of South America in the 16th century, told from the perspective of a priest sharing in the expedition. It is an atmospheric piece, beautifully sung by Jo Payne, and maintains a meditative air about it throughout, rather than being triumphalist, helped by the absence of drums. Crimson Sky is a more upbeat song, fitting a conventional song structure and featuring a sparkling guitar solo from Billy Sherwood which he devised especially for the song. It introduces Julie Gater on vocals, who brings a certain gothic edge to this tune, and delivers it very well. Capture Light, the title track, takes us back again to the 16th century, this time to Venice and the apparent rivalry between the great artists, Titian & Tintoretto. Oliver Day's lute sets the scene wonderfully, and Oliver Wakeman's piano takes up the theme before Jo Payne again takes the story on (with some echoes early on for me of Chris de Burgh), a story that is told with passion and depth, and a memorable musical theme which recurs many times before the end. Lacking any bombast or pretentiousness, this is again good, thoughtful music of very high quality. Ancient of Days is an anthemic piece, again in the thoughtful frame - this is a very thoughtful album! 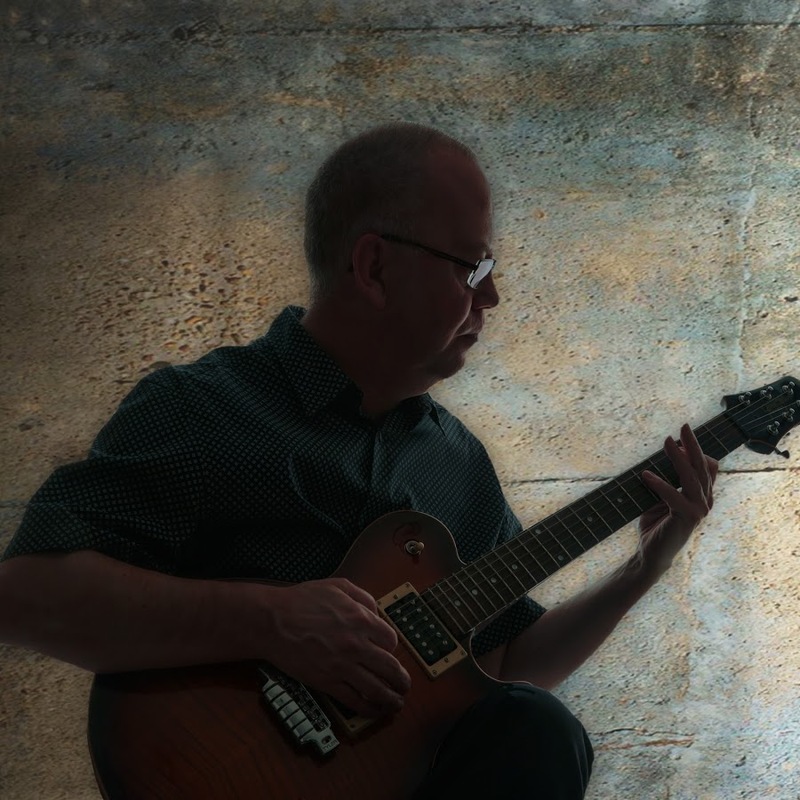 - with layers of vocals provided by Mystery's Jean Pageau, backed up by Julie Gater, Lee-Anne Beecher and Marc Atkinson of Riversea. It draws you in and wraps you in a warm glow, rooting you in the mysteries of the ages. One Race tells the story of Jesse Owens, who upset Hitler's plans for the 1936 Olympics by proving that his insidious form of racism was simply untrue, and who yet, despite his historic success, was treated with similar disdain on his return home, due to segregation in the USA. Again a song which raises questions and which pulls at the heart as Jo Payne & Max Read relate the tensions and frustrations of this unfortunate time in human history. Dreamcatching is technically an instrumental piece, but it relies on spoken word in many places to narrate the story of the Dream Catcher, along with a good strong drum rhythm to give a sense of native American style. Billy Sherwood's bass here is almost the lead instrument at times, and there are some dreamy backing voices from Julie Gater & Peter Jones. No Man's Land has some atmospheric drumming from Gary O'Toole, and has the most upbeat feel of any of the songs so far in the collection, particularly in the chorus, with a jazzy feel to the instrumental break near the end of the song too - perhaps the most 'different' song so far. Seaglass Hearts brings the album to a close, with excellent counter-play between Julie Gater & Peter Jones on vocals, some smooth sax work from Jones, and a sort of false ending, followed by a piano rendition of 'Swinging on a star'. This is not an 'in-your-face' album, but that's not always a bad thing. The music at times laps over you, comforts you, and gives you a sense of hope. For a debut offering it augurs very well for the future, and repays continued listening. I warmly commend 'Capture Light' to you as a great piece of contemporary progressive music.